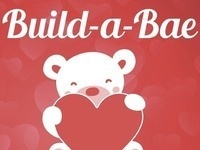 In honor of Valentine's Day, the SHSU Program Council invites students to come build a stuffed animal on Thursday, Feb. 14 from 11:00 a.m. to 1:00 p.m. in the LSC 2nd floor atrium. The stuffed animals will be available while supplies last. For more information, contact Program Council at 936.294.1763 or at PC@shsu.edu.